Since the late 19505, revolutionary devel- in and the potential future of emergency opments of basic knowledge, techniques, resuscitation. This meeting was initiated by teaching, and practice of cardiopulmonary james Elam. james jude, owner of the Wolf Creek Lodge (Blairsville, Georgia 30512), acted resuscitation (CPR) have resulted in the saving of uncountable lives from conditions that as host. previously led to certain death. 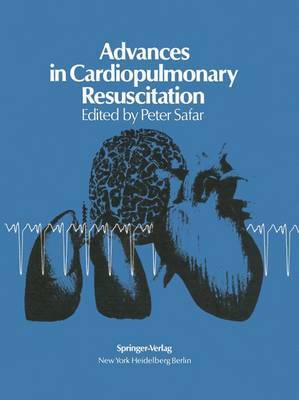 The 1950s The Program Committee invited primarily clinician-scientists from the United States, brought breakthroughs in respiratory resuscita- tion, the 1960s, breakthroughs in cardiac solicited synopsis papers and predistributed resuscitation, and the 1970s have begun to the 37 papers selected to the participants. We were spared formal paper presentations and show breakthroughs in resuscitation of the thus could devote ourselves to two full days arrested brain. Mobilization of large-scale public involve- of informal, stimulating, provocative discus- ment in life-saving efforts is essential. But the sions. This led to cross-fertilization of ideas challenges and opportunities of implementing among individuals with different specialty backgrounds.